I bought a Mark V five years ago when I decided to undertake a complete refit of a 1969 Chris Craft Roamer 46 motor yacht. Since I don't have a shed big enough to fit the boat, the boat itself ends up being the workshop space. I decided on the Shop Smith because it packs so many essential tools into one footprint. We've been working to get the exterior painted for the last year; there's not much need for a Shop Smith for mixing and applying epoxy fairing compound or longboarding primer. But with the paint work finally done, I'm transitioning to interior and other work where I'll be using the Shop Smith more. I thought I might post updates here when I write articles in my blog on the refit having to do with the Shop Smith. FRP pultrusions and aluminum are unconventional materials for the Shop Smith, and the shapes were unlike what most woodworkers deal with, but I have to say the machine works like a champ. I do look forward to working on the interior, when the only dust flying will be from wood. A beautiful boat. 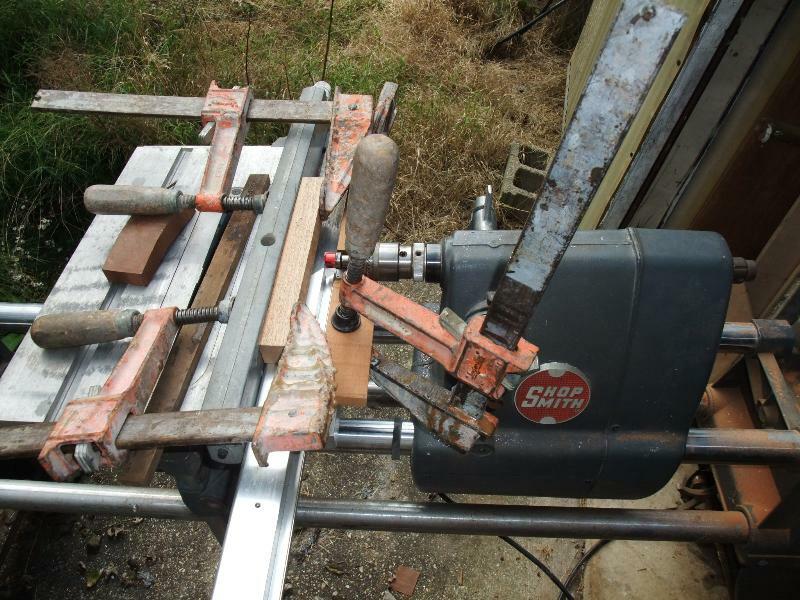 I find only our imagination is the only limiting factor for the many uses of the Shopsmith Mark V. I spent about as much time building jigs and frames to contain and hold the work as the work itself needs. For anything requiring any power type of rotation, the Mark V headstock can normally be adapted to supply this power. 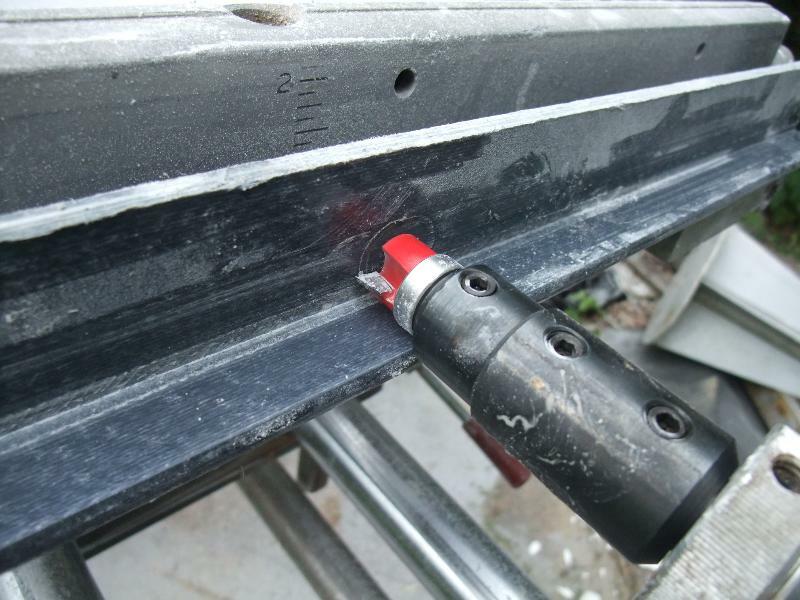 I have done a lot of aluminum milling, drilling and shaping so believe fiberglass should be equally easy to do. Be sure to keep us updated on your progress. SMIB anything like an ESMIB? They roam north of the ESVIB and west of the ESDIB and south of the NMIB. Fortunately they be on the 'wrong' side of the bay I presume. P.S. How do you pronounce boathouse? Bill, you're absolutely right. So many times I've been staring at a thing, wondering how I'm going to solve a problem and then I remember I've got that Mark V attachment, tool etc that does that thing and--BAM--problem solved. JPG, don't even get me started on the SMIB. I found out recently that he wasn't even a real SMIB...he was a Yankee, relocated to SoMD! No wonder he didn't sound right! 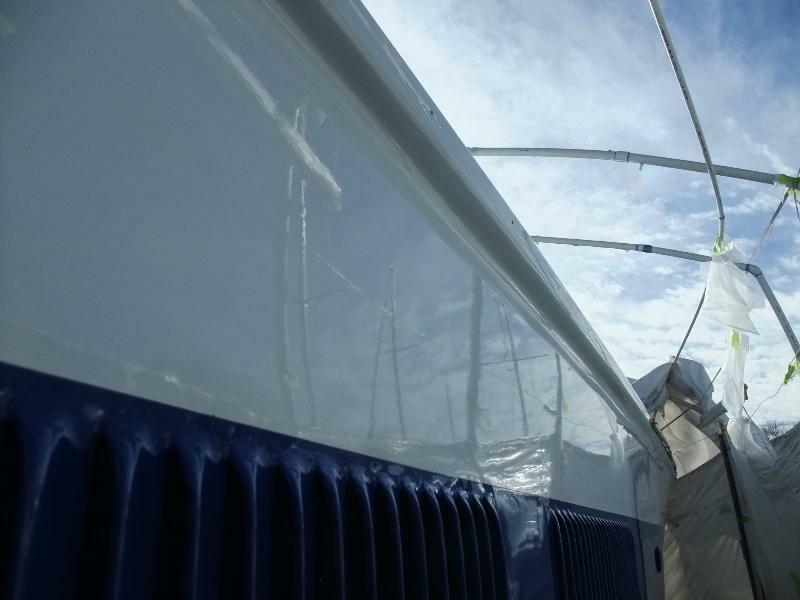 I just posted a blog article about a big leap forward my boat project took last weekend...the exterior paint work is done and the tape and plastic is off. This is the first time in decades that the whole exterior has been pretty...very exciting stuff. Can't wait to dig into the joinery. 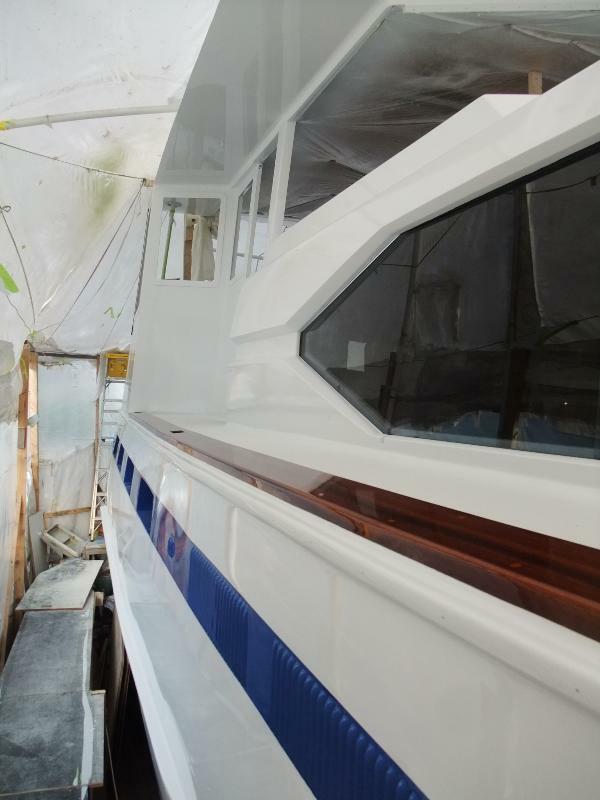 1969 Chris Craft Roamer 46 Refit: Off Comes the Plastic (AKA the Paint Job is Done)! That refit is some project. Even the website must have taken a while. Loved reading and looking at the pictures of the boat. Thanks, and apologies for the delay in responding. The tent blew apart shortly after I posted the last message and all of the sudden my priority list changed quite a bit and every spare moment got spoken for. Shipwright, we used Awlgrip Awlcraft 2000--an acrylic urethane. In the article on the tent blowing apart, I posted some pictures of the boat in natural light. The painter sure did a nice job flowing out the paint.